production. This prevents broken blueprints making it into production and ensures customers can continue to consume resources in the usual manner. One of the biggest challenges facing IT teams is how to move artifacts (blueprints, scripts, custom properties etc) between environments. Whilst it is possible to leverage the power of vRealize Orchestrator and vRA’s Event Broker to create a workflow to manage this lifecycle, this requires a lot of work and thorough testing. 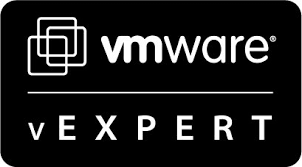 In 2016 VMware released the vRealize Code Stream Management Pack for IT DevOps, commonly referred to as “Houdini” for those who thought its full title was a bit of a mouthful. This enabled customers to promote code between environments without having to craft their own solution. However it wasn’t without its issues. For example, custom properties used by composite blueprints had to exist in the target environment prior to being moved. Software components also had to be moved beforehand, which could be cumbersome for blueprints which made use of a lot of these. Thankfully, these issues are a thing of the past with the introduction of VMware vRealize Suite Lifecycle Manager 1.2 (vRSLCM for short) which was released on 12 April 2018. Note: vRSLCM is a huge product which automates the installation, upgrading, patching, configuration and health management of your entire vRealize Suite of products. It has numerous capabilities, however, in this post I will focus purely on content management between environments. Make a note of the token and store it in a safe place. You should already have your projects and repository setup and configured. In my environment, the project is marked as private. As it was my first project, I know the project number is 1. Login into vRSLCM and select Content Management, followed by Content Settings and then Source Control Access. Click Add Source Control Server. Select the type as GitLab, and enter your server’s address. Finally click Submit. Note: Your GitLab installation must be available on HTTPS. If not the connection between vRSLCM and GitLab will fail at a later stage. Note: Orchestration endpoints must be added before Automation. Once done click Next followed by Submit. Repeat for your remaining orchestration endpoints. In the following example I have chosen to promote my newly created Kubernetes blueprint from Development to Production. The blueprint and all dependencies will also be stored in source control. All of the above only exists in the Development environment, not in Production. The process of deploying content is even simpler. On the right-hand side, click Deploy. That’s it! The blueprint and all dependencies have now been migrated to production. Bear in mind that moving content between environments needs careful consideration. For example, if you have a template in Development that uses the Guest User Agent (gugent), then that, and the blueprint that references that template will point to that specific vRA environment. To work around this, you will either need to name your templates so they are environment agnostic, or alter the blueprint when it arrives in the target environment. The former is the easiest path, but will possibly require a dedicated templates datastore for each environment. Plus having all templates named the same with no obvious way to differentiate between them could lead to increased administration costs. It would not be difficult to automate the latter using vRO and the event broker, but would, of course, require time to produce a working solution. For more information on vRealize Suite Lifecycle Manager, check out https://blogs.vmware.com/management/2018/03/vrealize-suite-lifecycle-manager-1-2-introducing-content-management-integrated-marketplace.html. I’m assuming you modified the OOTB Pipelines in vRLCM? The capture vRA element never populated to GITLAB. I couldn’t retrieve composite-blueprints; however property definitions, group, subscriptions…all worked. Nope, didn’t modify anything. Did you setup Gitlab correctly? Do you see composite blueprints listed in the dropdown? I believe I setup GITLAB correctly. I’m using my own account instead of a service account; however I set up Access Keys under my account. Make sure the connection account you use to talk from vRSLCM to vRA has the permissions to request blueprints. As a test, use the account you logon to vRA with to request catalog items. So that the account you login in to vRA with can see composite blueprints in the catalog – great. Now configure an endpoint in LCM using that same account. After that, can you select the blueprint from the dropdown?